I have had my eye on one of these for so long and then I won this in the lovely Bethany's giveaway on What She Did. I got the shade Made You Look which is a striking, hot pink and a shade I have never worn or thought to pick up. I'm a coral blush girl through and through but this has got me looking on the pinker side of life recently. The concept of this I find strange... who stamps their cheeks with colour other than scary clowns? Well now most of us do apparently because these are big news and are starting to get quite a fan base. The pan of blush is in the lid and the stamp end with the applicator is on a spring, there is also a mirror on the outside. I've been stamping this on and blending out with a separate sponge otherwise it's just too much. 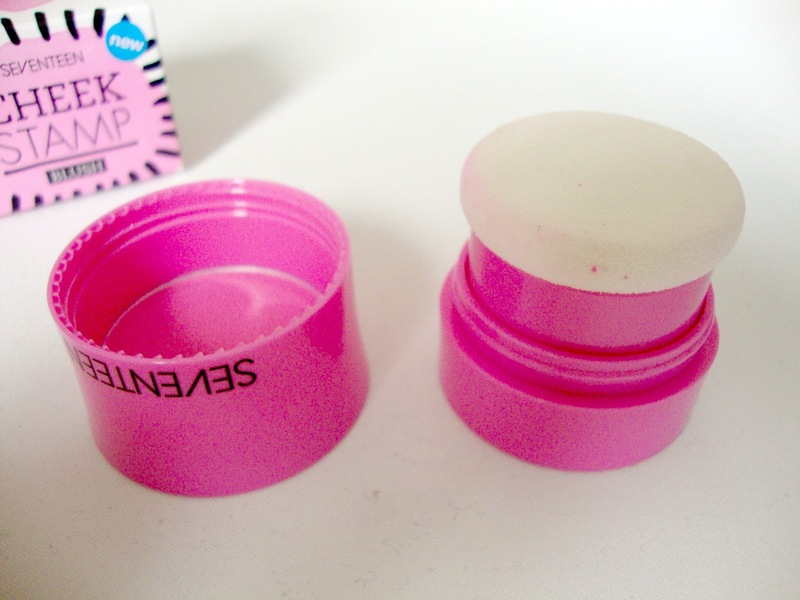 Because the stamp applicator is always on the blush pan there is a lot of product on it. The blush itself leaves a burst of barbie pink on my cheeks and it's very soft to touch, not cakey at all which is what I like! The wear time with this did impress me, maybe more due to the fact it's a brighter shade but it was still visible after a full day at work which I tend to find isn't the case with others I use. Am I a pink blush convert? Not quite yet, I still find myself reaching for my trusty coral but I am making more of an effort to branch out. 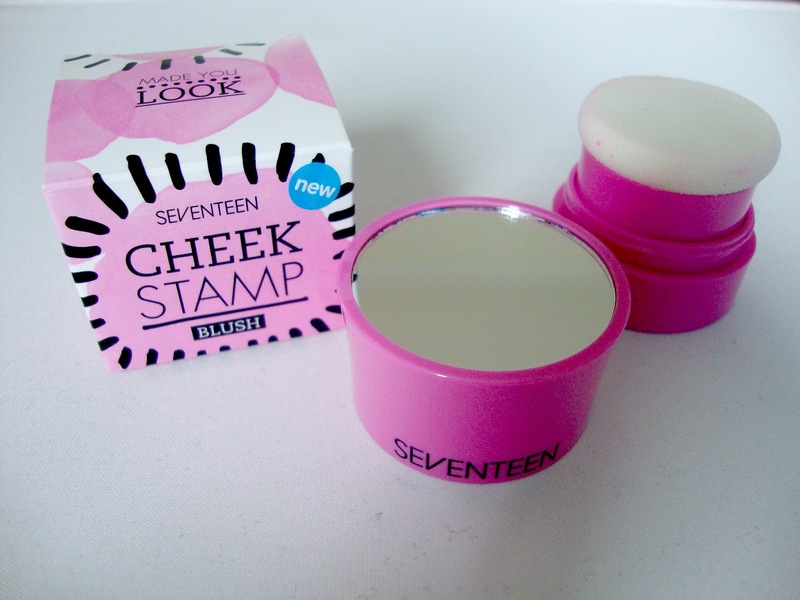 Seventeen have some great shade ranges out since they've re-branded and a definitely one to look for when you're next in Boots. I looked at these the other day in Boots but wasn't quite convinced I wouldn't look like a clown, however I'm now tempted to pick one up! I'm like you too, I always return to my coral blushes! I'm in two minds about this product, keep looking at it thinking shall i try it or not? Like you I think of clowns!! I like the idea of these, but like you, I'm more of a coral blush girl!